My kids love trampoline, we strongly believe it is one of the best investment we could ever do. They seem to never get tired of bouncing. They are on it every hour of the day. But having a noisy trampoline can be very annoying. While your kids may not be aware of the horrible squeaky noise coming from the trampoline, you will definitely want to avoid your neighbours complaining when it comes to bouncing time. So we believe the best thing to do is to take the right measure before fitting your trampoline together. If you can relate to this problem, then keep on reading as your about to learn everything about noisy trampoline. Why Is My Trampoline So Noisy? 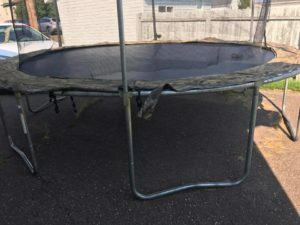 When a trampoline is stored away for a long period of time without being used, rust may begin to develop on the springs and hinges. This is the reason behind most squeaky loud noise when you use it. Another reason for trampoline noise is weather condition, this can also be an influence on the steel and steel contact points – rain or moisture can get in, then heat can dry out the joints which can also cause trampoline noise to occur when you or your kids are bouncing. How Do i Stop Trampoline Noise? First, you need to locate the rusty springs and hinges in your trampoline. 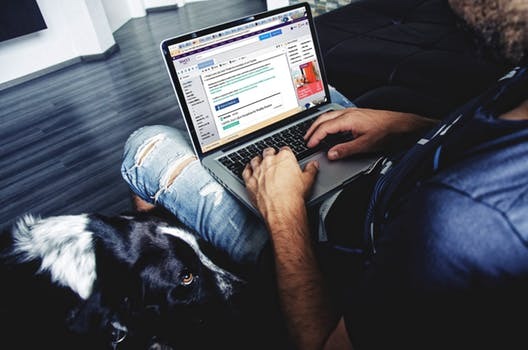 Now that you have found the rusty areas you should use a can of WD40 Spray or other rust removers and spray a generous amount of the WD40 on the springs and hinges and let it stay for a few hours. You should make your kids jump on it up and down. This will expand the spring coils so you can get the lubricant in between the coils. We also recommend doing the same to the top frame and also where the springs meet the frame. You should also scrub the rust away using a clean dry brush. Rinse with water and then let the spring properly air dry for a few hours. Repeat this method until the noise is completely gone. If you follow this method and it didn’t work then you can proceed to use Plan B “Greasing the trampoline”. However, we believe the WD40 should work for most trampoline. Even though some owners have reported that the squeaky noise return after a while. So to provide a more powerful solution, you should turn to the power of grease for your trampoline. You can find one of these for a reasonable price on Amazon. One of our favorite is the 3-IN-ONE Multi-Purpose Oil. Greasing the springs and hinges of your trampoline should immediately reduce the noise or make it go away completely. Before using grease it is best to take proper precaution and protect your hands with heavy duty gloves. Also, remember to make your kids jumping up and down on the trampoline and while they are bouncing you should go around and apply more grease on the trampoline metal joints. After applying the grease on the trampoline and letting it sit on for a few hours you should properly test it to see if it is relatively quiet. You can do this by letting your kids bounce up and down. If it is completely quiet then your job is done here. There will be no more annoying noise to affect you or the neighbors. Here is a video you can watch addressing the problem of a squeaky trampoline. If you’re like many others asking question like “why is my trampoline so noisy” then this guide is just for you. I hope this guide helps you to eliminate the noise from your trampoline completely. 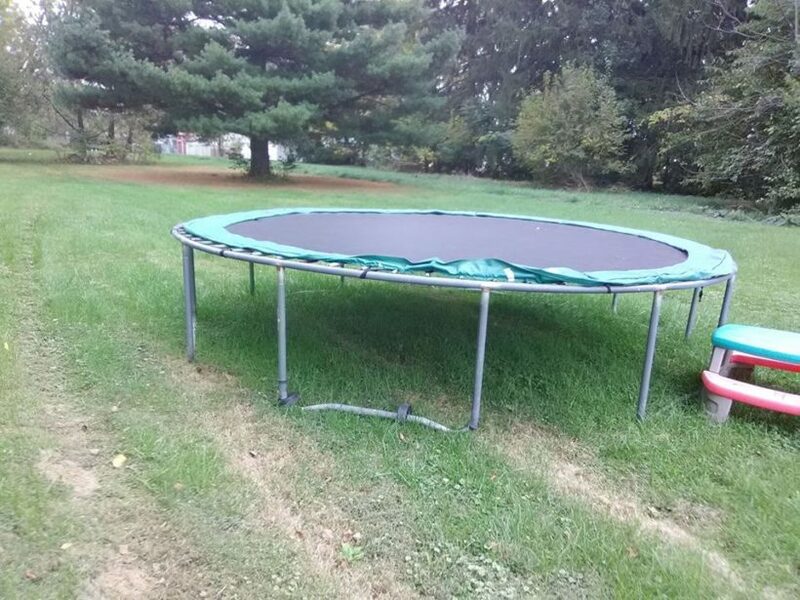 We have provided everything we know about noisy trampoline and how to get rid of it and restore peace in your backyard once and for all.